Deuce makes it simple, fun and affordable to play tennis. Pick from thousands of outdoor, floodlit and indoor courts at our Deuce partner clubs across the UK. Improve your skills, meet other players and have fun whatever your level in our friendly sessions with qualified coaches at our Deuce partner clubs. Get the first month for free. Play and pay as you go. Tempor magna aliqua franca va esser. Terms apply. We will be in North London and West London soon and adding new locations across the UK over the coming months. Don’t worry, we won't take your card details now but will be in touch at the end of your first free month. In the meantime, enjoy the benefits of Deuce Premium on us for free. If we're not yet in your area and if you think we're onto something good, please register your interest to help us prioritise our rollout. Whether you’re a complete beginner or a county champion, we’ve got a session with a Deuce qualified coach for you. Get back into tennis and meet other players of all ages and abilities in a friendly group session. We can lend you a racquet if you need one and supply balls. 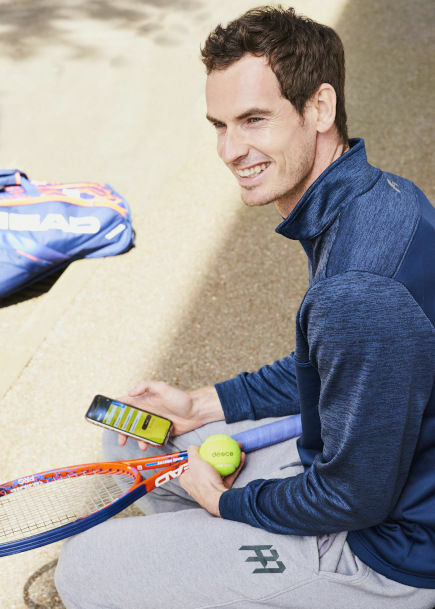 Designed by Matt little who trains Andy Murray, these sessions are high intensity and competitive. Open to any player with an impairment and is designed to give you the opportunity to get on court and learn new skills in a friendly environment. “We need to fill empty courts with people playing more often and Deuce uses today’s technology to do this in a simple, welcoming and affordable way.